Should Stab-in Receptacle Connectors be a Home Inspection Defect? They’re legal, at least in most parts of the country, but should they be? Back-wired, push-in electric receptacles were designed for one reason, and that’s convenience. If wired incorrectly, which is easier to do than you might imagine, or after years of shifting around, they can leave the home with a home inspection defect. In your career as a certified home inspector, you’ll probably find many examples of wiring with the push-in method. Here’s why they’re not always safe, even if they’re legal. If you’ve done any residential electrical work in recent years, you’re probably familiar with receptacles that have back-wired, push-in or stab-in connectors as an option in addition to terminal screws. Unfortunately, residential receptacles might only be designed to accept 14-gauge wire. What happens if the electrician or homeowner uses 12- or 10-gauge? Firstly, the person wiring the outlet might force the wire, which could loosen the connector clamp or break it. Secondly, if the wire does squeeze into the opening, the connection won’t be as reliable as it would with manufacturer-recommended 14-gauge wire. Think about the difference between terminal screws and push-in connections. You can see all points where the bare copper contacts the terminal screw. With a push-in connection, the only thing you can see is what outside the receptacle. In terminal screw installations, the bare copper end wraps around the screw, which is then tightened down to hold the wire securely. Inspectapedia says this method offers the best performance. The connection is more reliable because the terminal screw contacts and holds more of the wire. With a push-in installation, the clamp inside the opening only contacts and holds the wire at the edge of the clamp or screw. Not only do push-in connections make less contact with wires, they can also stress the wire to the point of breakage. Copper is soft, flexible and easy to cut or break. Because the clamp of a push-in connection is narrow, it can eventually act as wire cutter instead of a clamp. One exception, says Handyman How-To, is the combination push-in/screw clamp style receptacle, which gives the convenience of push-in wiring with the security of a larger clamped area once the screw is tightened. 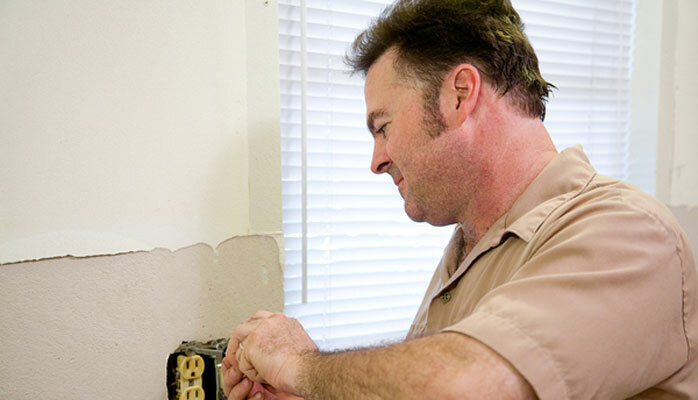 Electric receptacles move every time the homeowner plugs in or unplugs a cord, even if the movement is slight. Over time, shifting and wiggling of the receptacle can weaken the wire, eventually causing it to break or loosen inside the clamp. With a terminal screw, wires stay more secure. Terminal screws require more effort, but they’re usually the safest and most durable wiring method. Push-in connectors have another potential flaw: once they’re wired, they can’t be reused. If installed by an experienced electrician, that might never be a problem. But in a DIY job, the installer might strip away too much wire insulation leaving bare copper exposed. Push-in connectors are designed to prevent pulling a wire back out. If there’s too much copper exposed, the only safe option is to cut the wire, toss the receptacle and begin again with a new one. With a terminal screw installation, loosening the screw frees the wire. The installer can cut the end of the wire, strip off the proper amount of insulation and wire it again more safely. Push-in or stab-in wiring is a shortcut. Some manufacturers have improved on push-in clamps, but may electricians agree that a terminal screw is always the safest and most secure way to wire in an outlet. Unless local code frowns on push-in connectors, they’re not a home inspection defect. Just be aware of the potential hazards that can happen when a homeowner does the work or after years of normal wiggling and shifting. 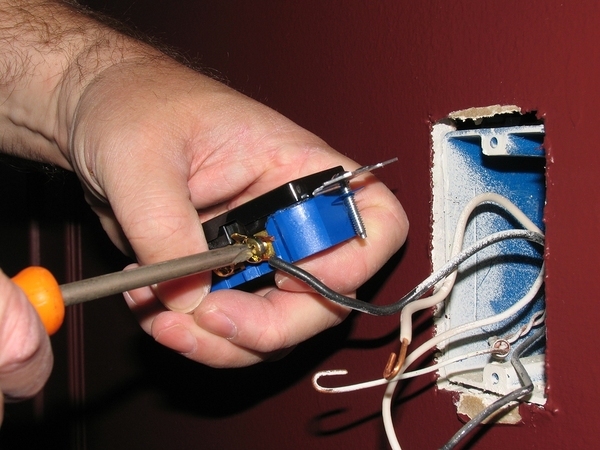 Few home inspection defects have the same dangerous potential of a bad wiring job. Your home inspector training can teach you all about it. If you’re in the market for a new career, now is the time to take action. Enroll now with ICA School and earn your certification on your own terms.